The Language Journal: Don't get it wrong - Cross-cultural awareness in professional translation. Poor translation and cross-cultural awareness can generate some unintended misunderstandings or offence. For instance, the Chinese translation of the Pepsi slogan “Come alive with the Pepsi Generation” became “Pepsi brings your ancestors back from the dead” in Taiwan. Bearing in mind the importance of ancestors in Chinese culture, this slogan might be considered offensive. Even the different nuances of meaning of certain words across dialects of the same language might produce some unexpected results. For example, the verb “coger” in Spanish is totally innocuous in Spain, but it has very strong sexual connotations to the Spanish speakers of Latin America. 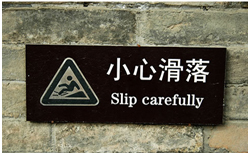 Mistranslations may also carry tragic consequences. Five Bulgarian nurses and a Palestinian doctor were initially sentenced to death in Libya for allegedly having infected 400 children with HIV in a Libyan hospital in 1998. French Nobel Prize winner Prof. Luc Montagnier, one of the co-discoverers of HIV, conducted investigations into this case together with a group of scientist, which concluded that the virus was more likely to have been spread through unsterile hospital practices rather than by deliberate infection. Prof. Montagnier, who testified in person at the trial, claimed that the Libyan court neglected scientific evidence due to the mistranslation of the English term 'recombinant', which means a natural recombination of viruses, as 'genetically modified' implying deliberate human manipulation.